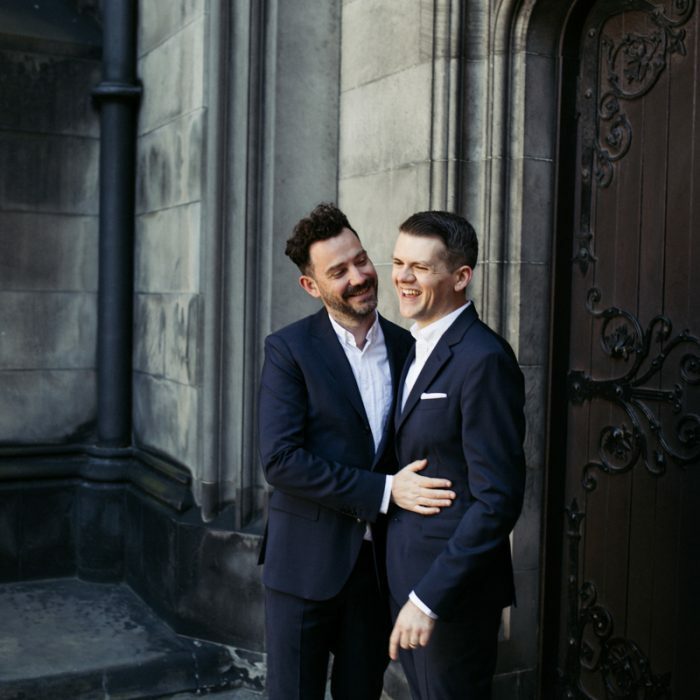 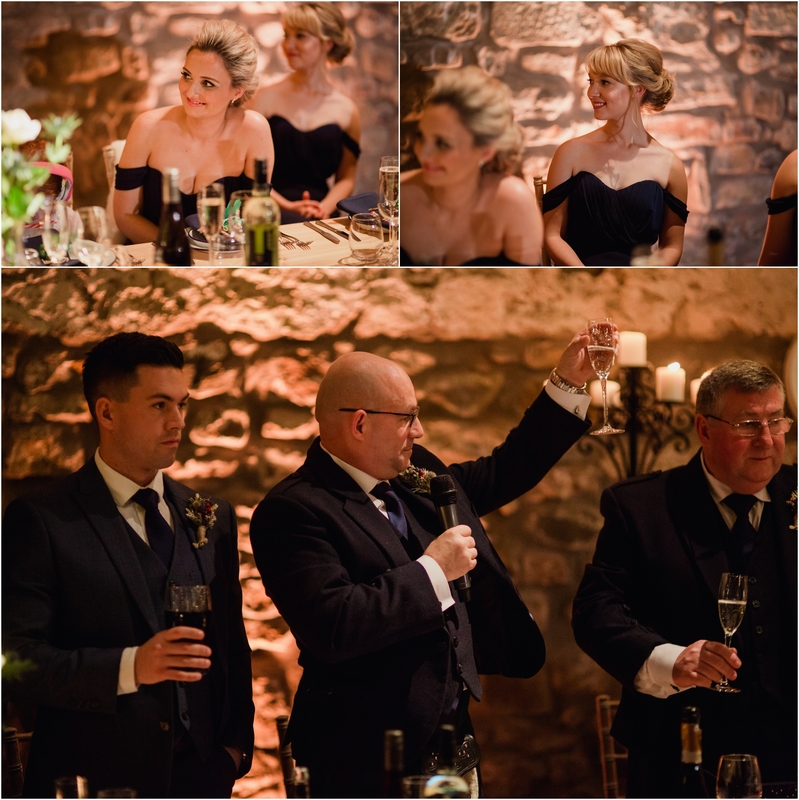 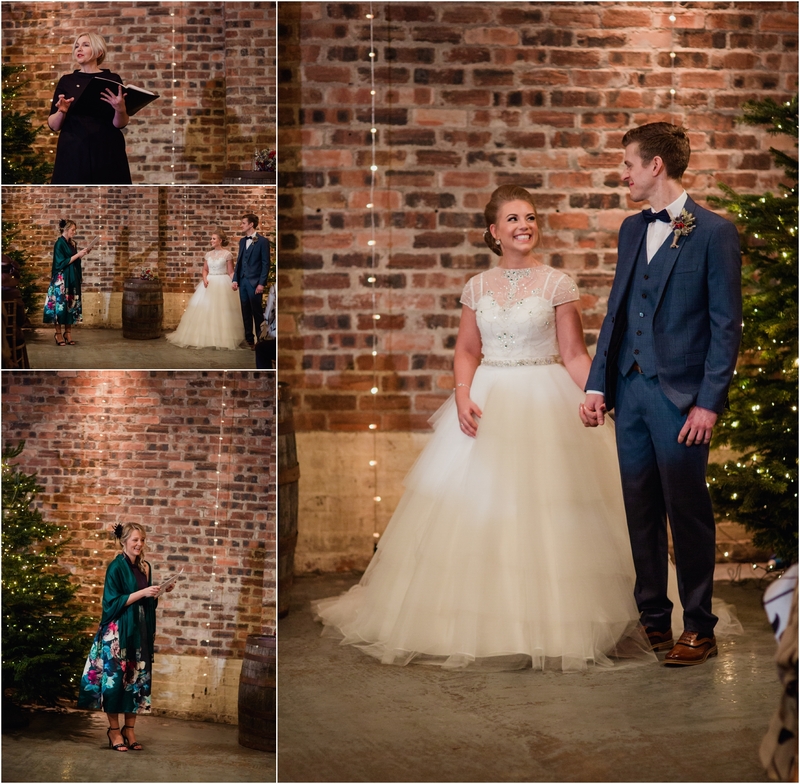 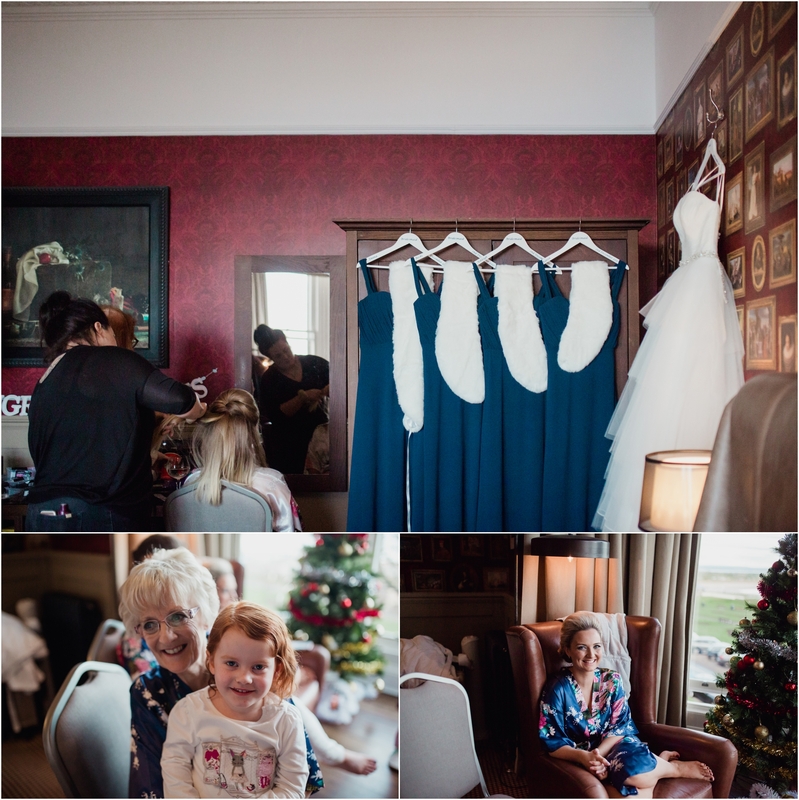 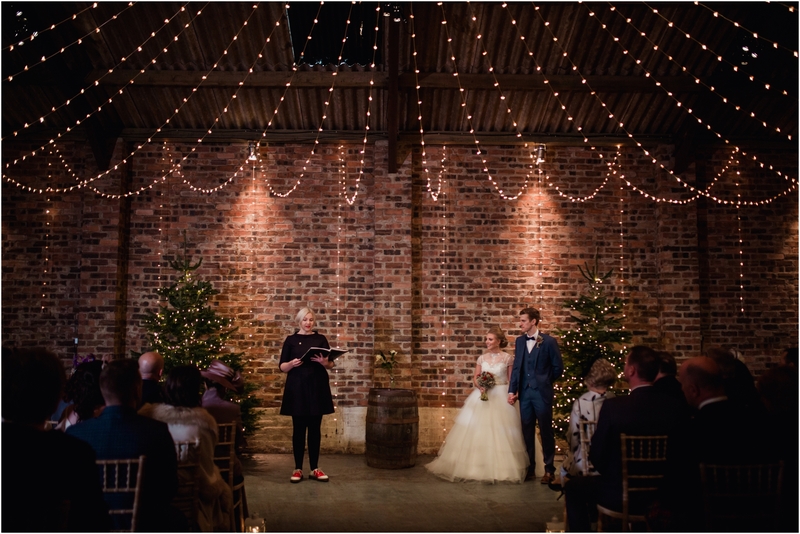 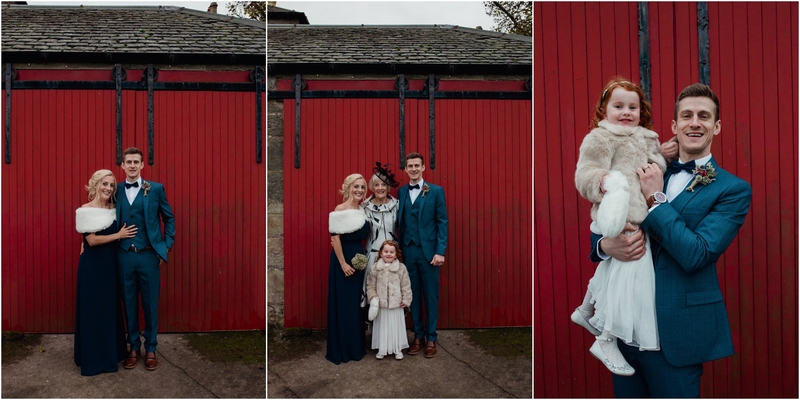 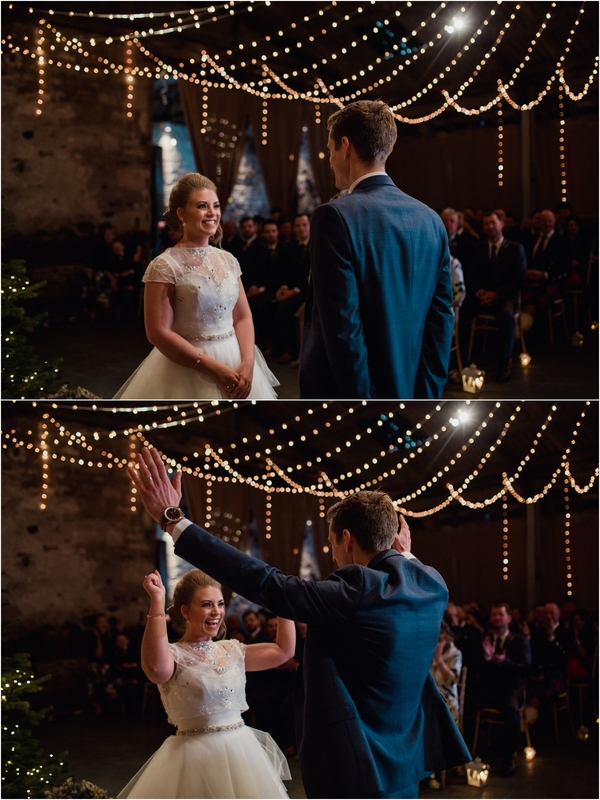 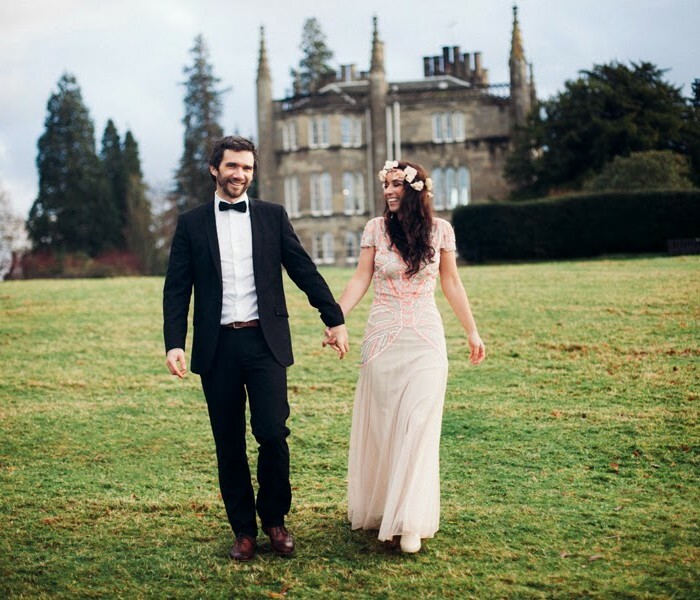 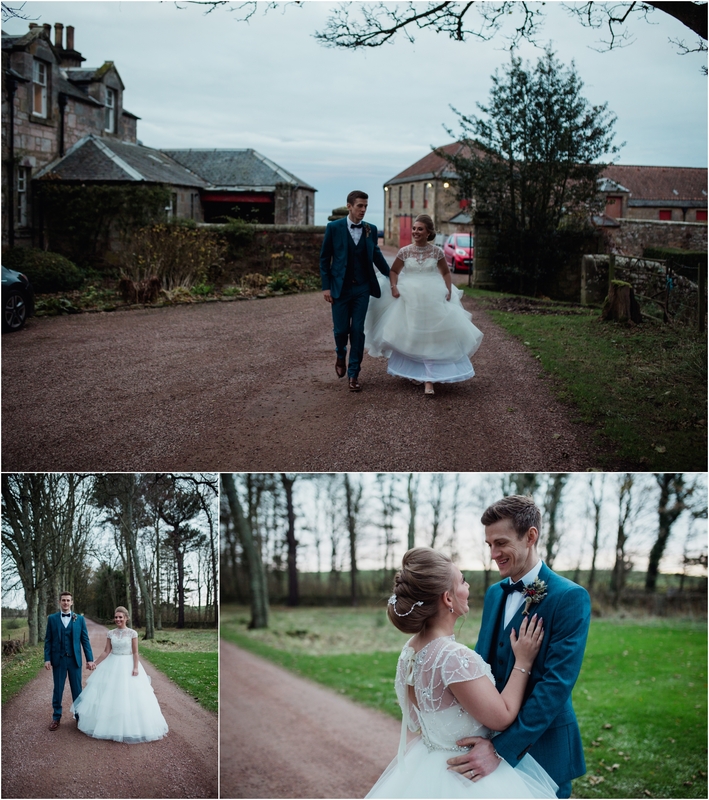 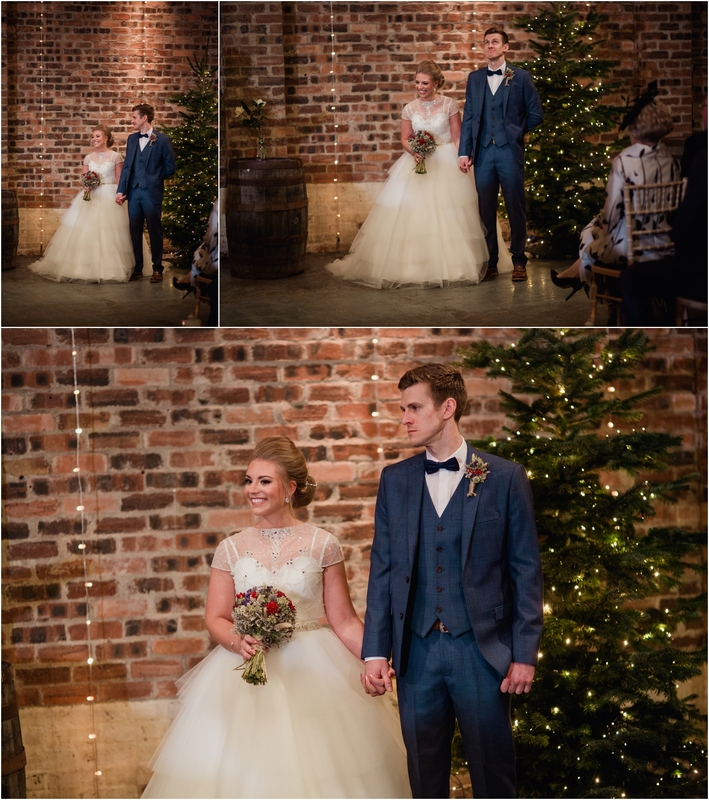 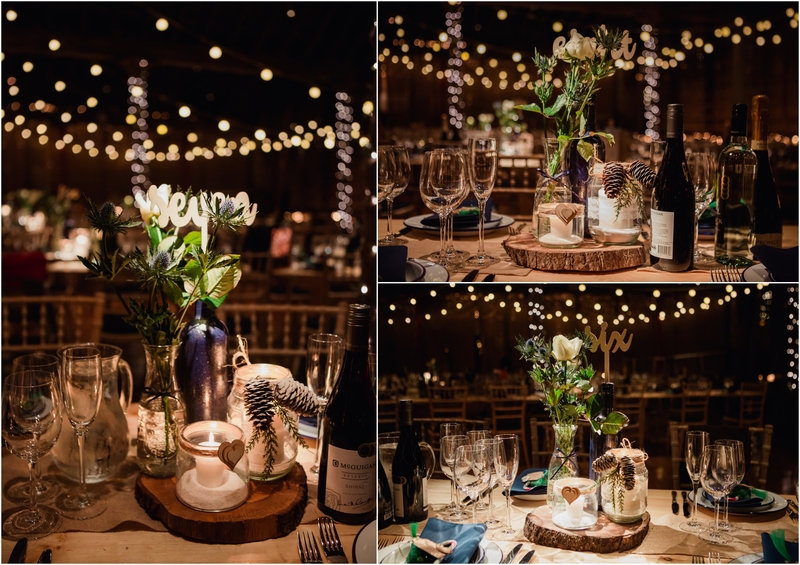 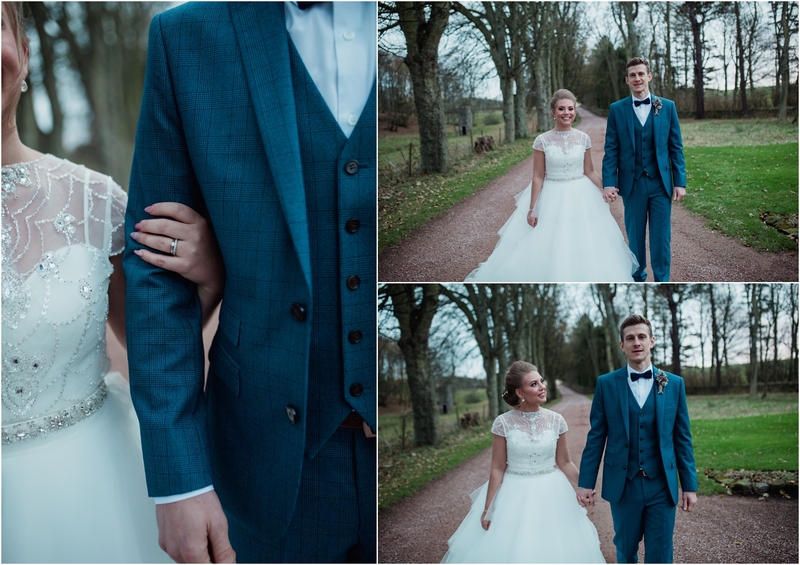 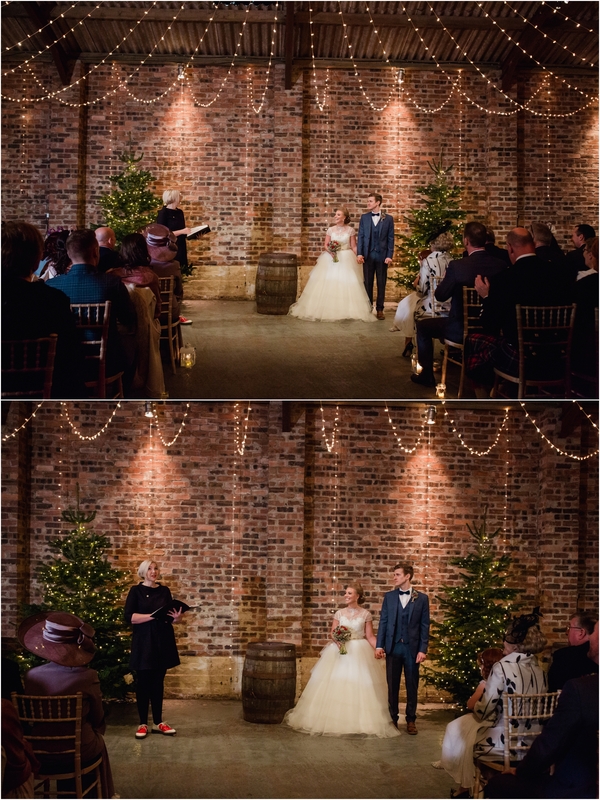 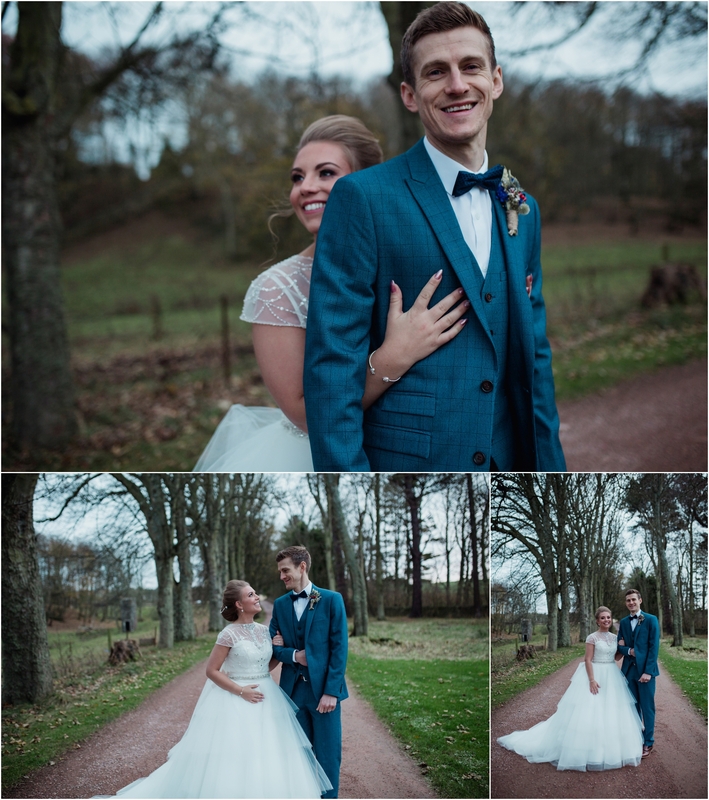 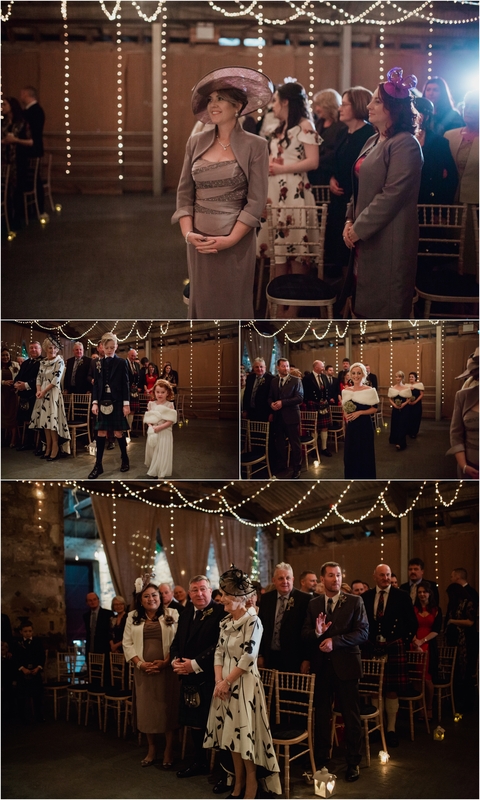 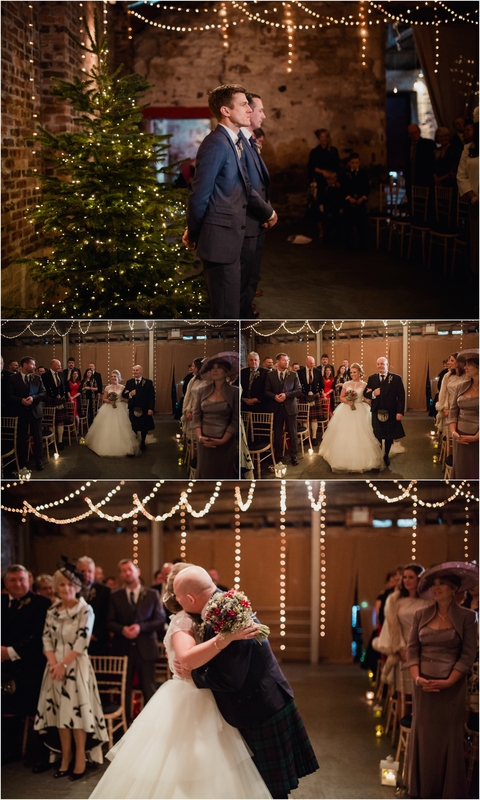 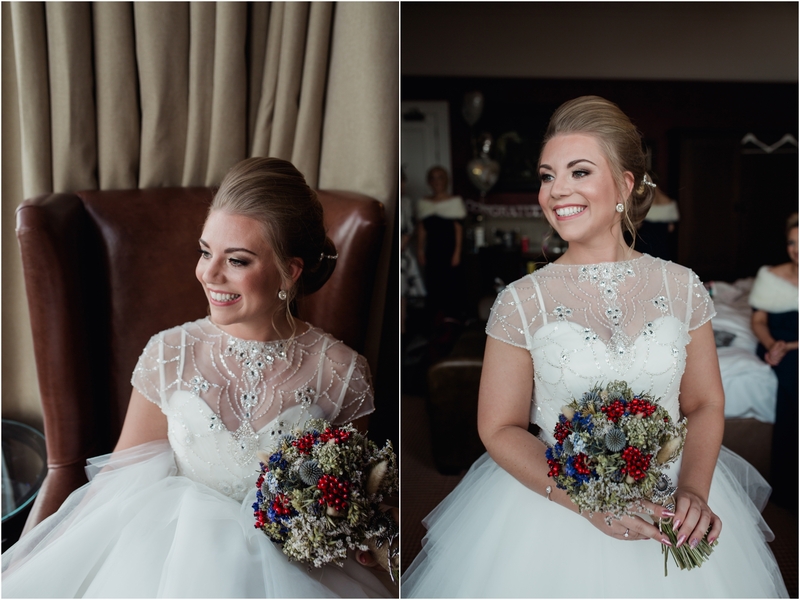 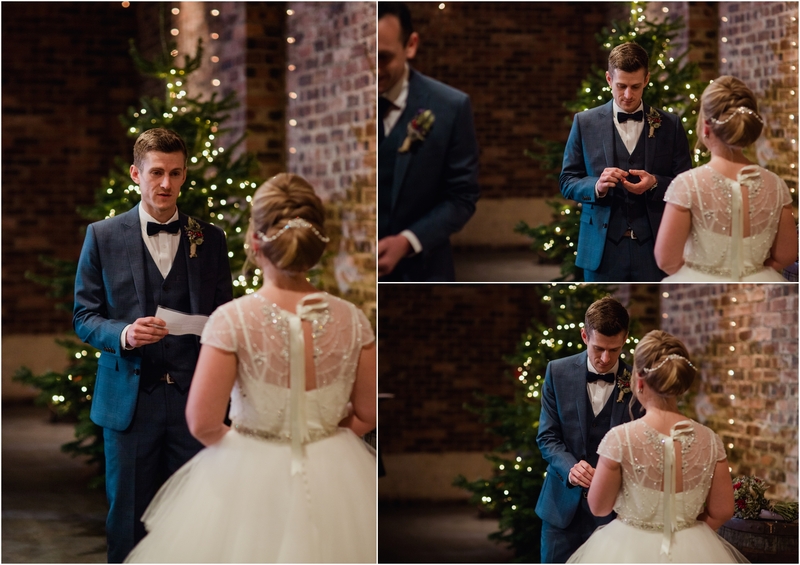 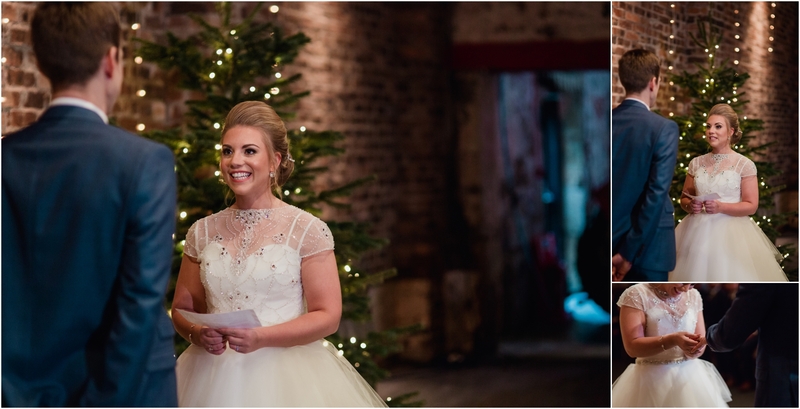 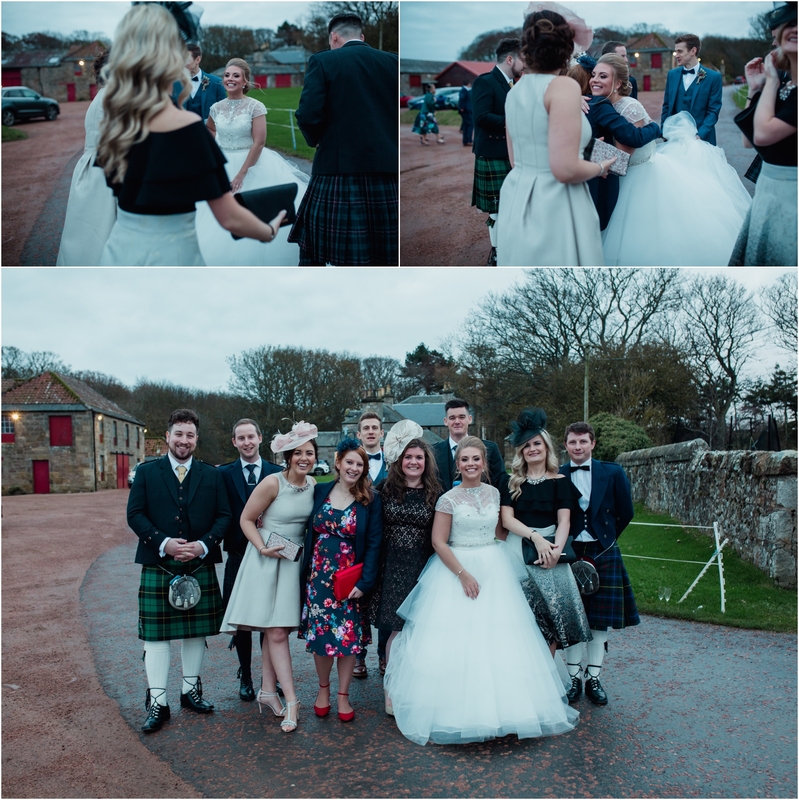 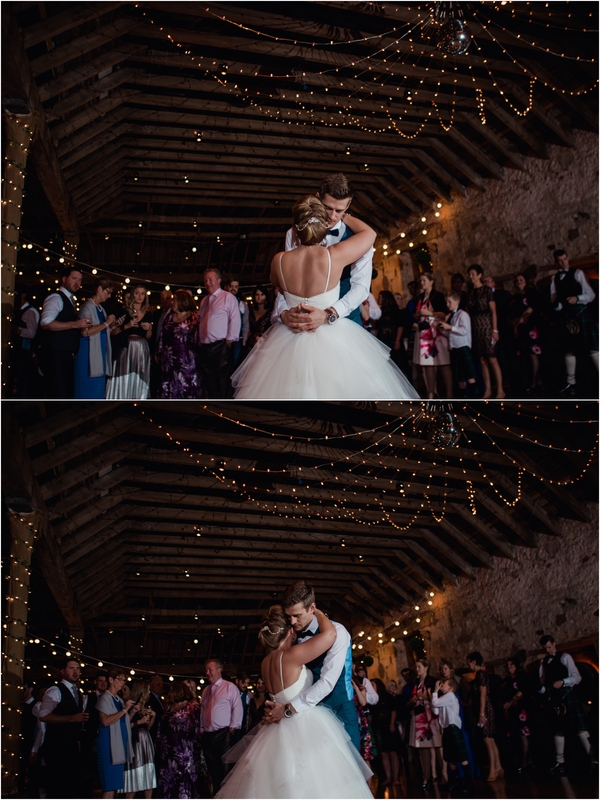 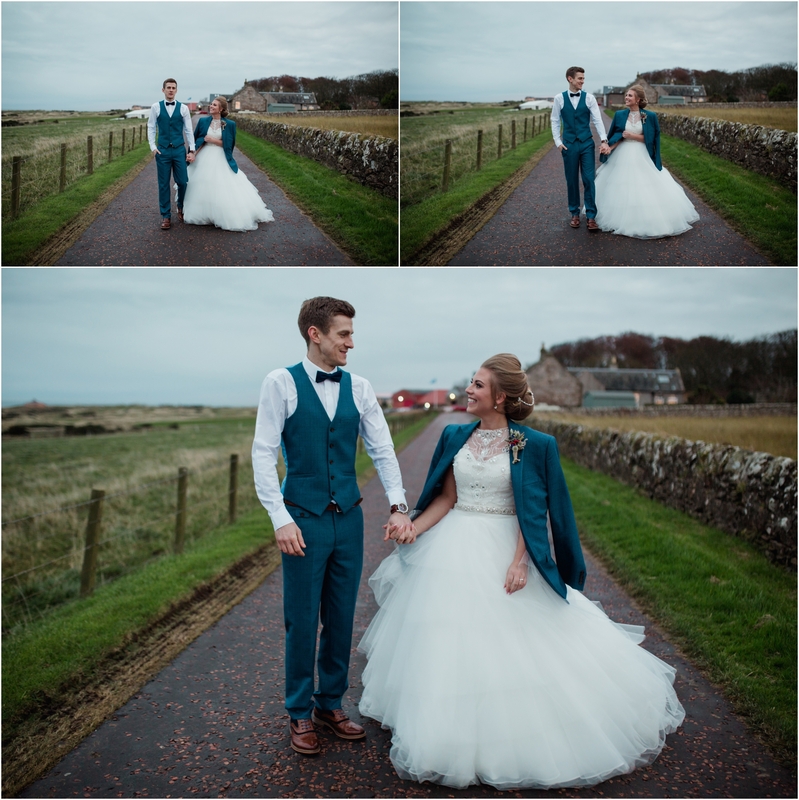 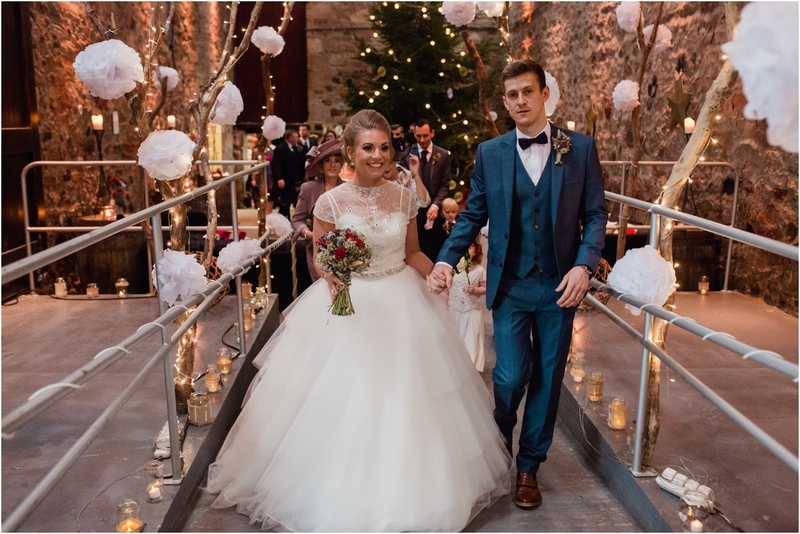 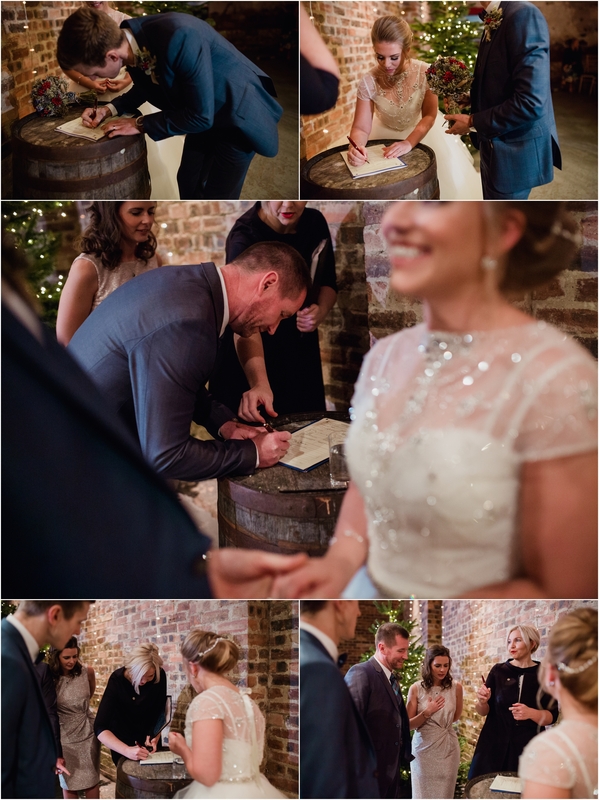 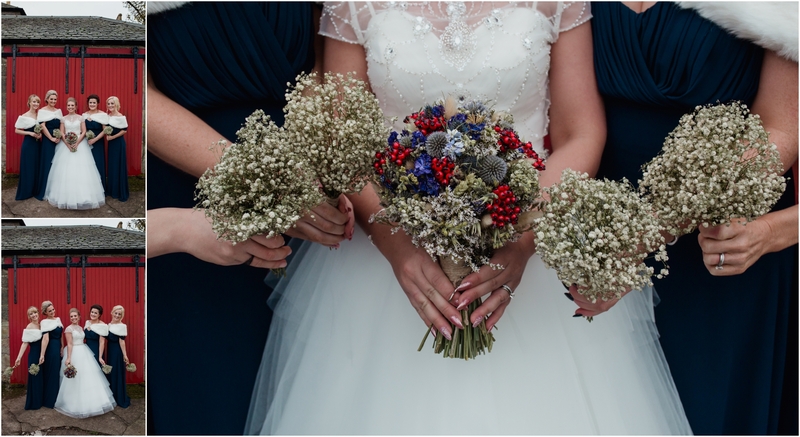 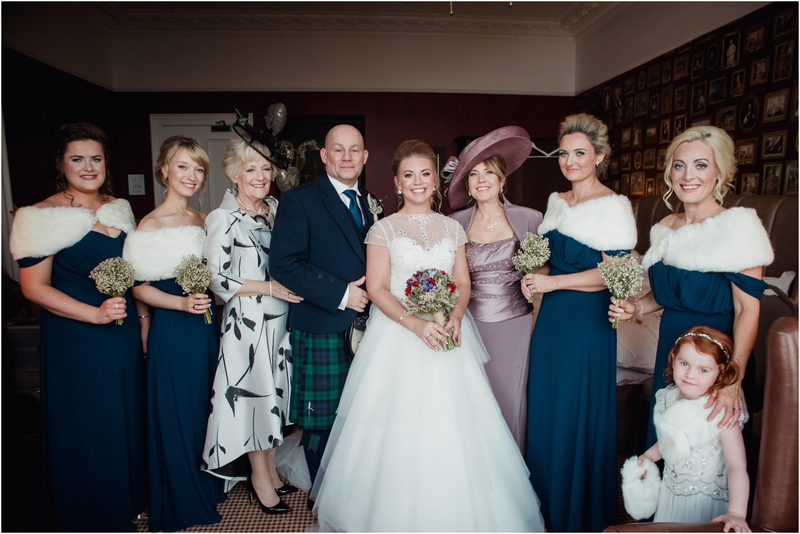 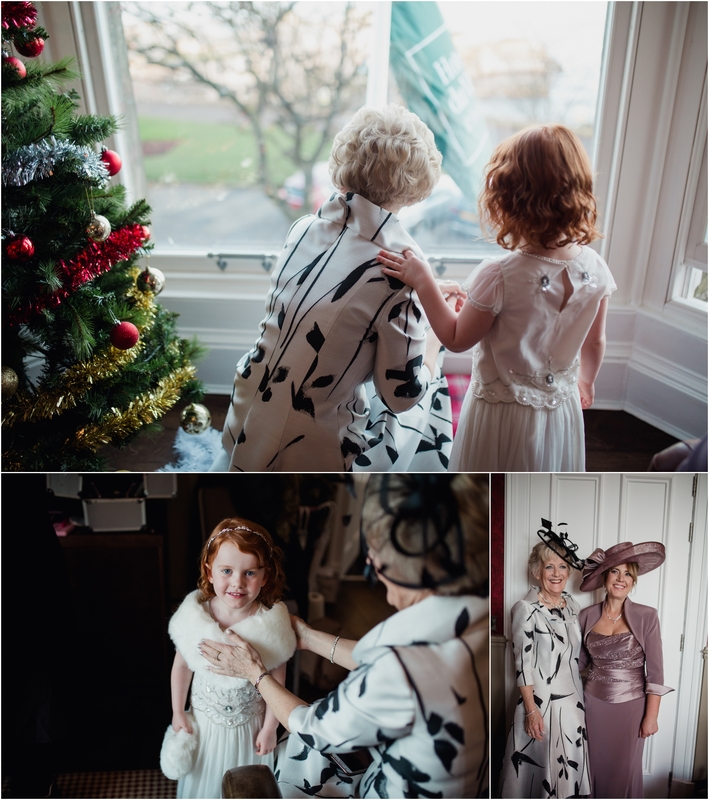 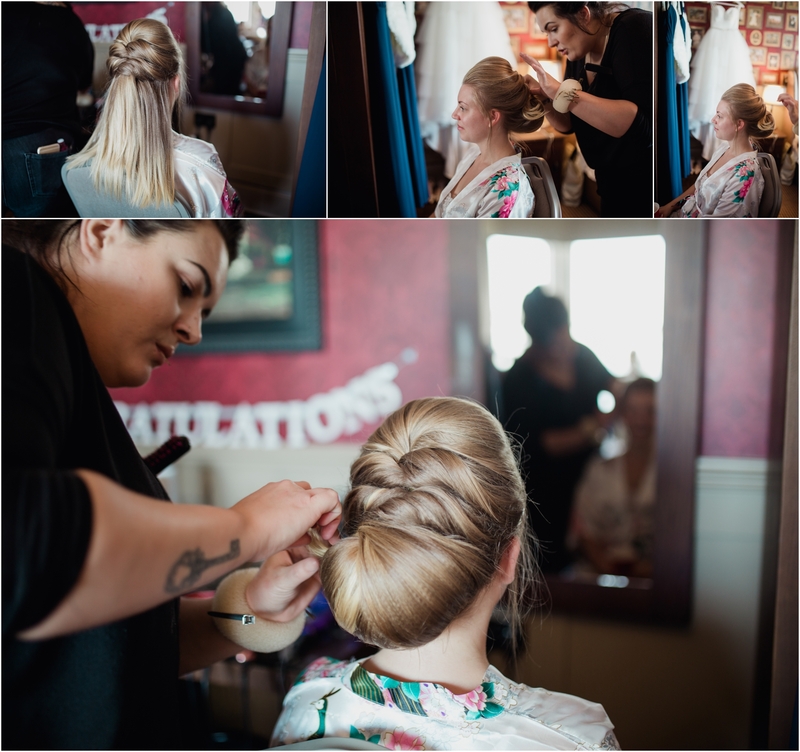 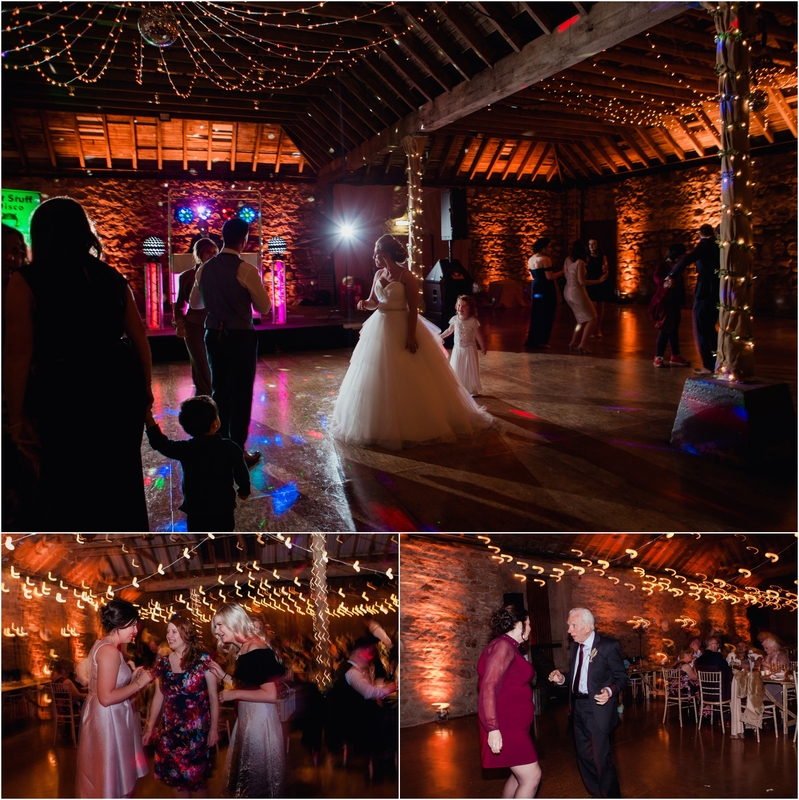 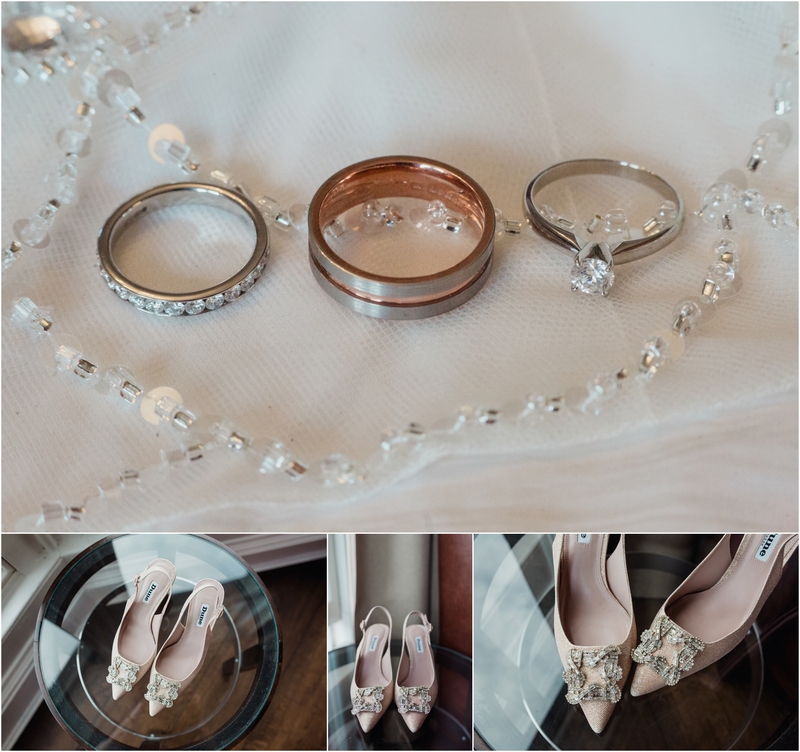 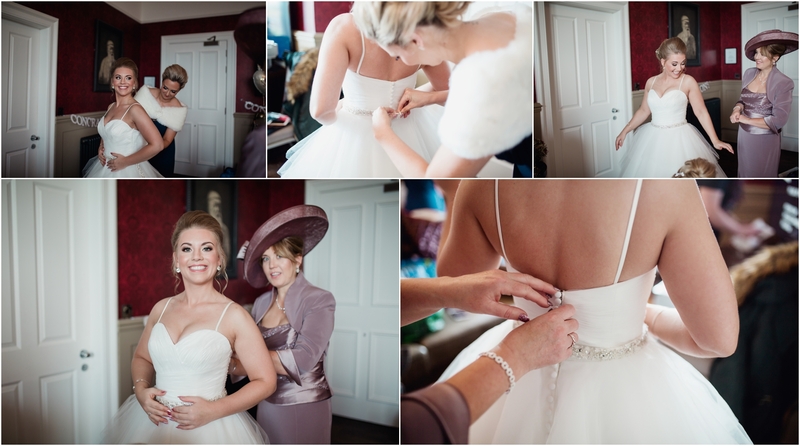 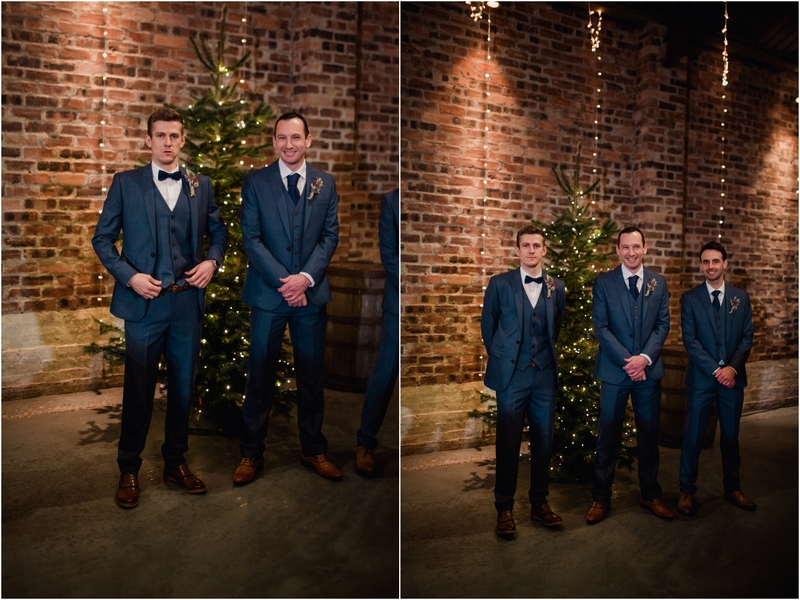 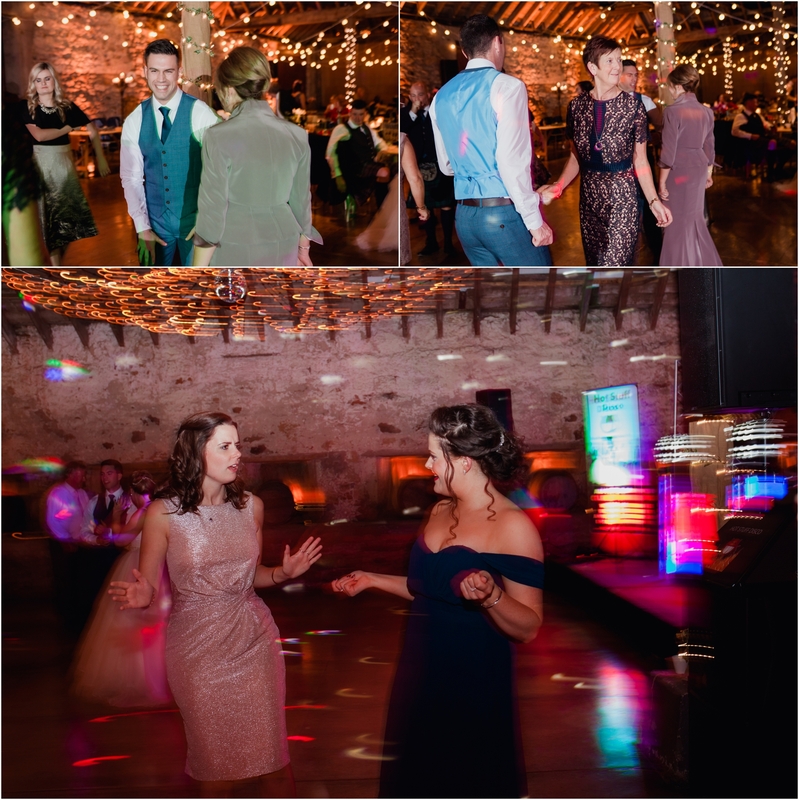 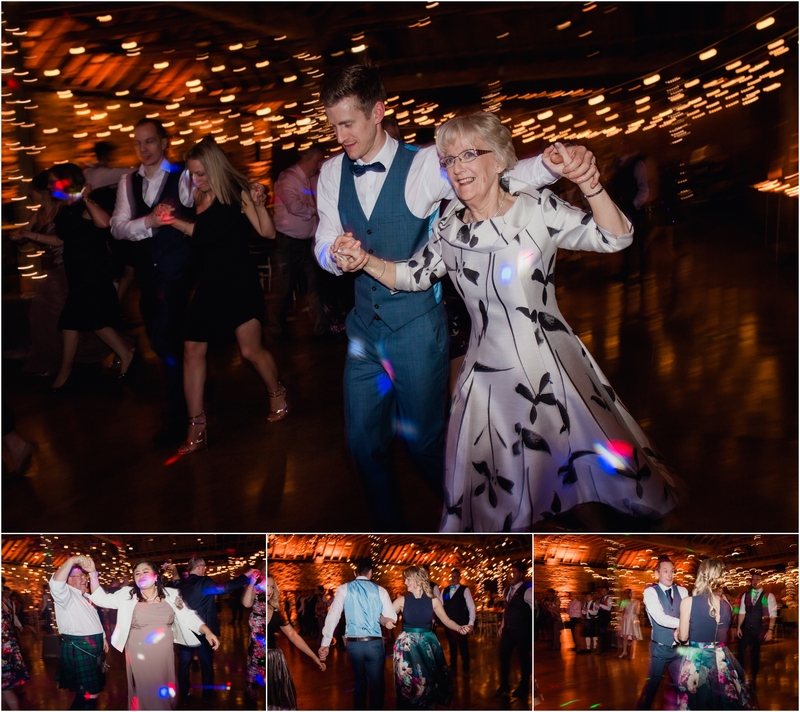 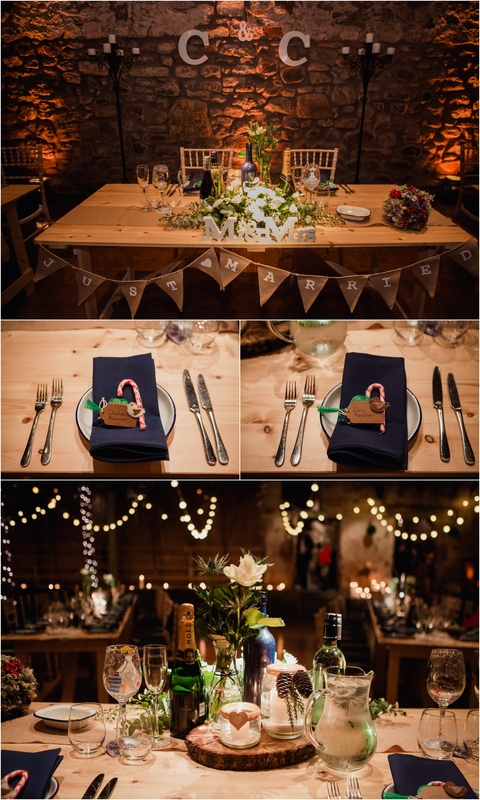 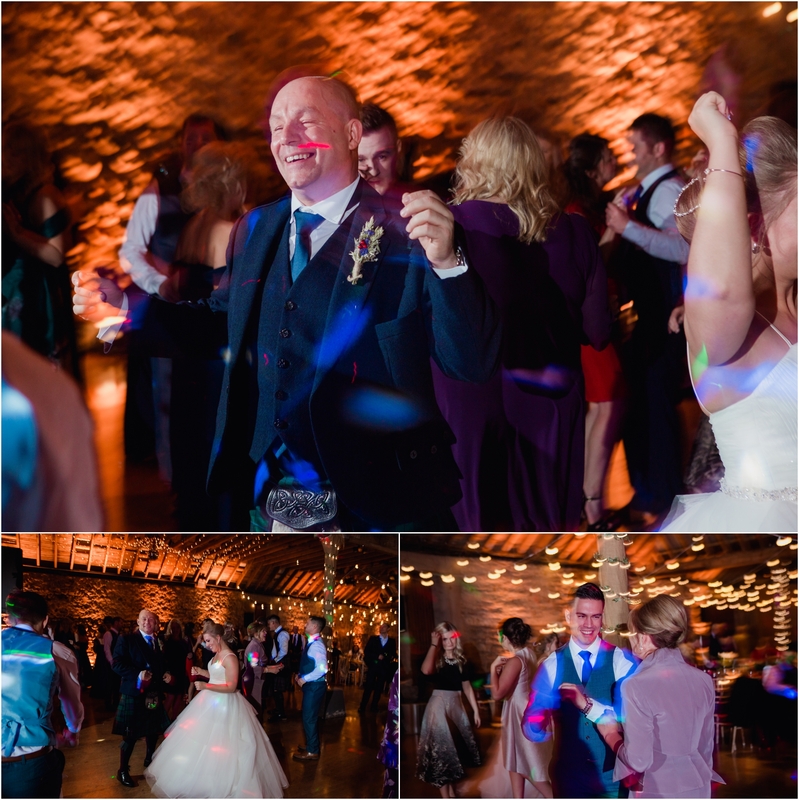 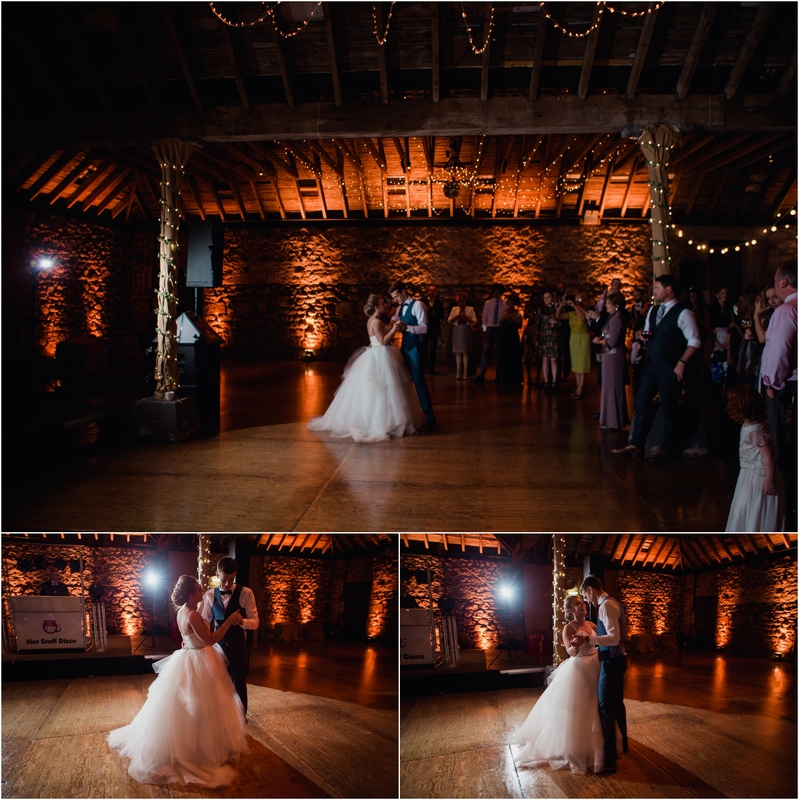 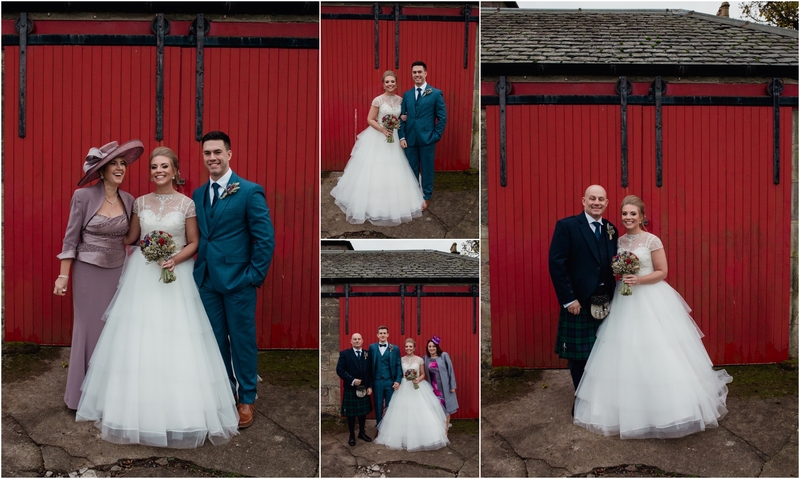 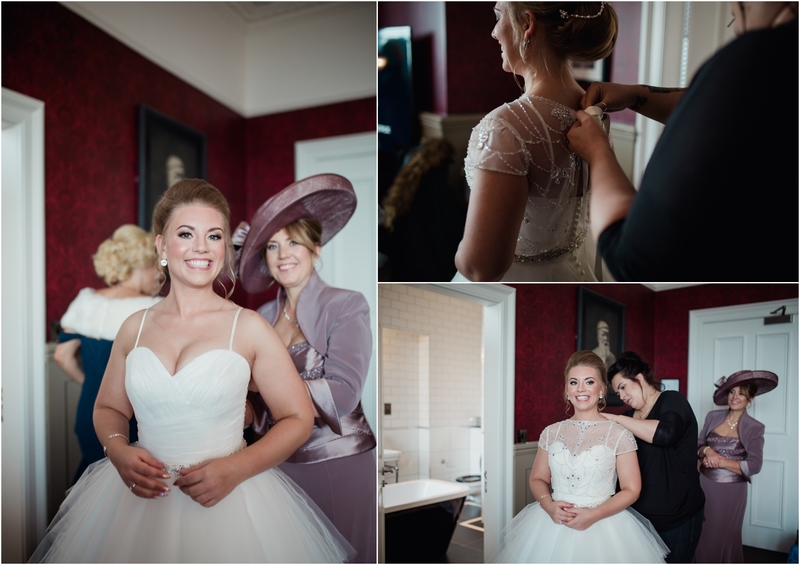 Charlotte and Craig’s wedding at the amazing Kinkell Byre was the perfect day to get me in the festive mood and such a full of sparkle picture-perfect winter wedding. 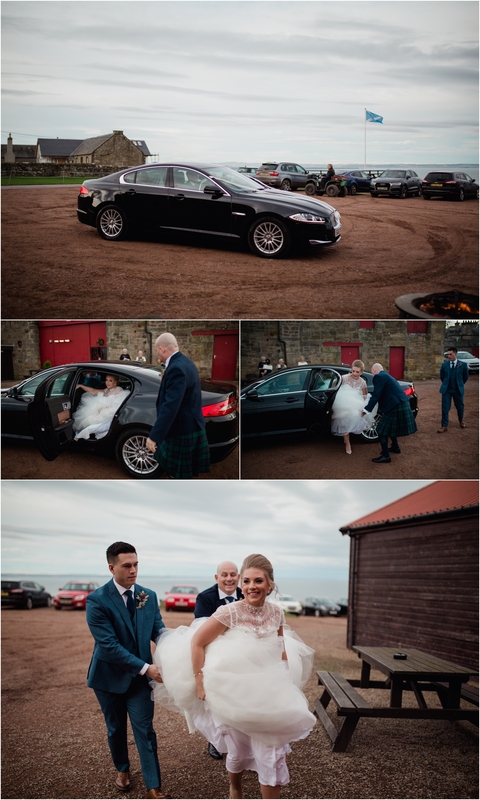 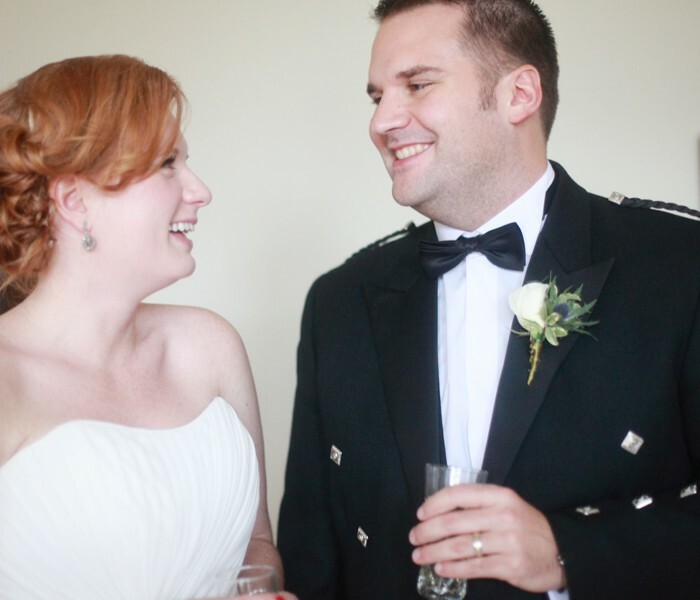 Having met on a night out at The Garage in Glasgow Craig fell for Charlotte’s stunning smile. 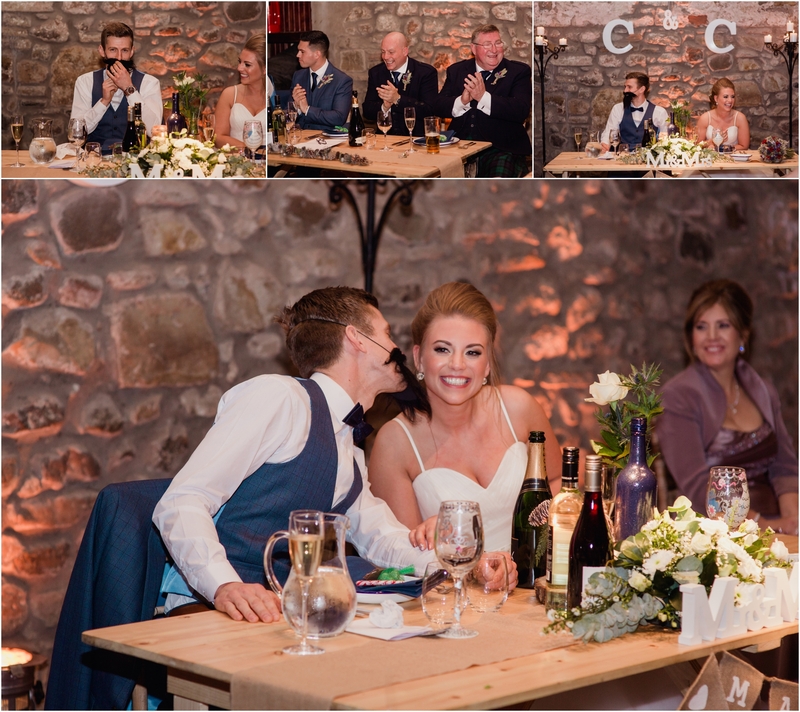 He proposed with a jigsaw puzzle with niece Mya holding up a sign saying “Will you marry uncle Craig?” and Charlotte said yes. 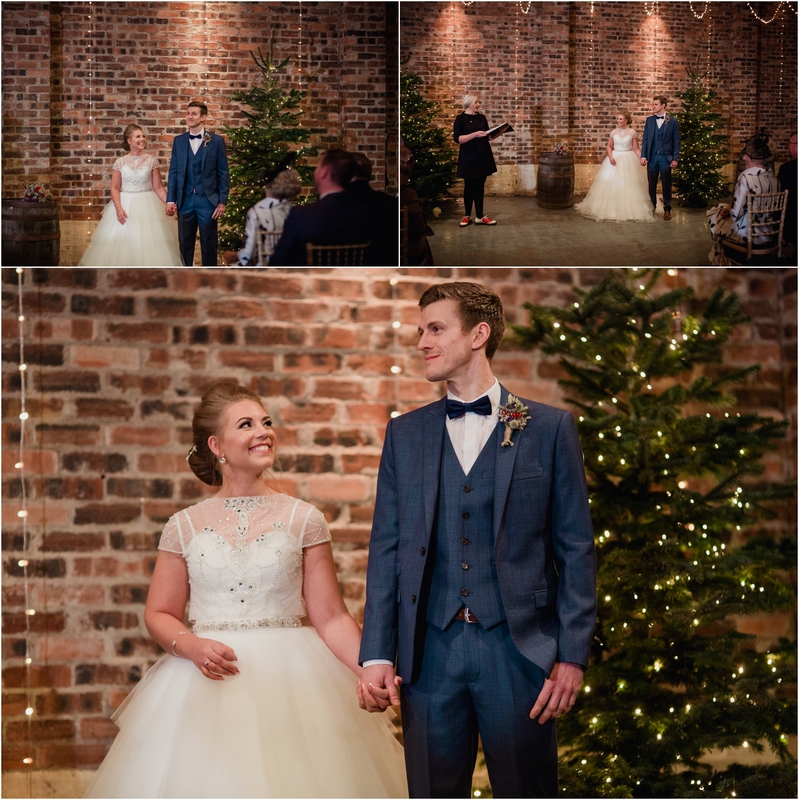 Their day had a Christmas feel with lots of twinkling lights, upside down Christmas trees hung from the ceiling and a cosy atmosphere. 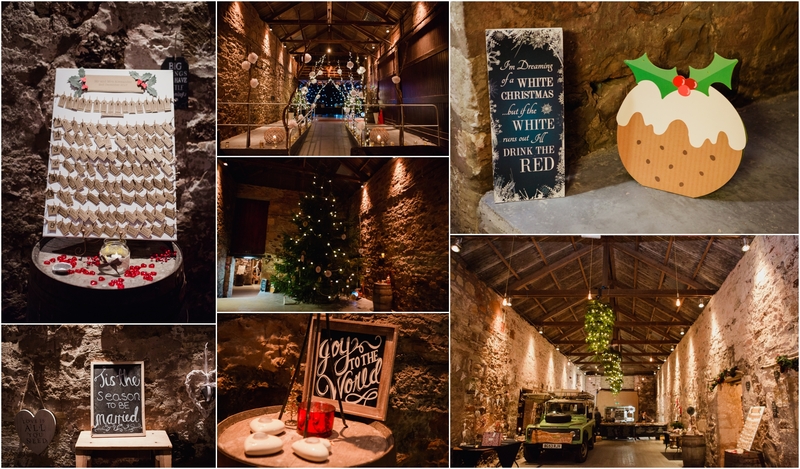 I loved the mulled wine, mince pies they served during the drinks reception. 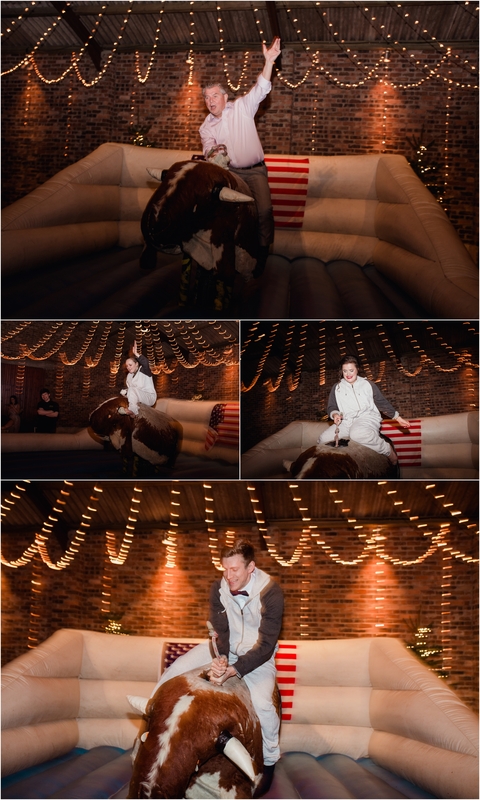 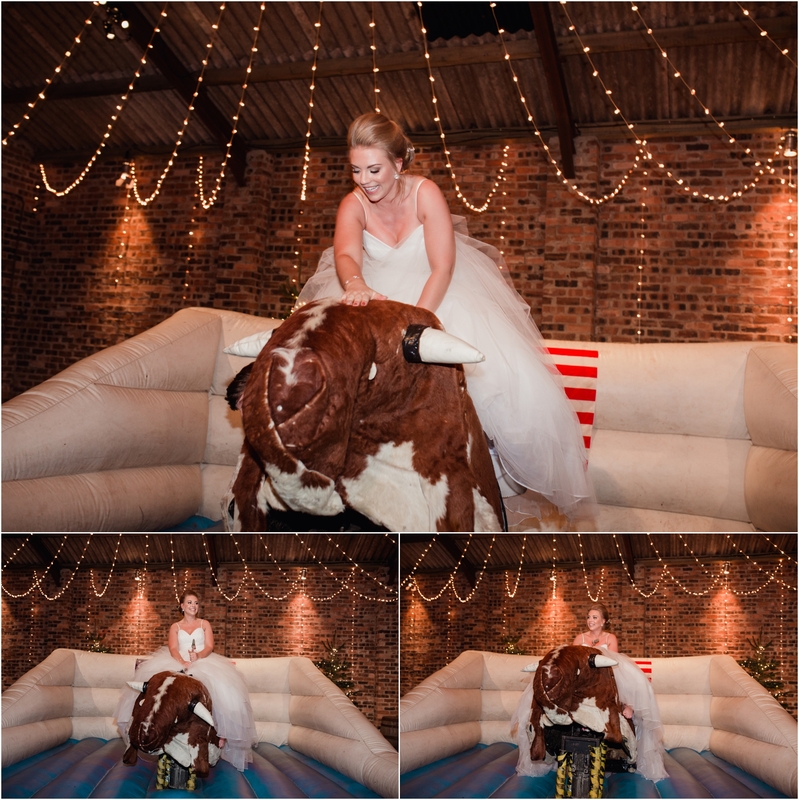 The party games including a bucking bronco had thee guests laughing and having fun all day. 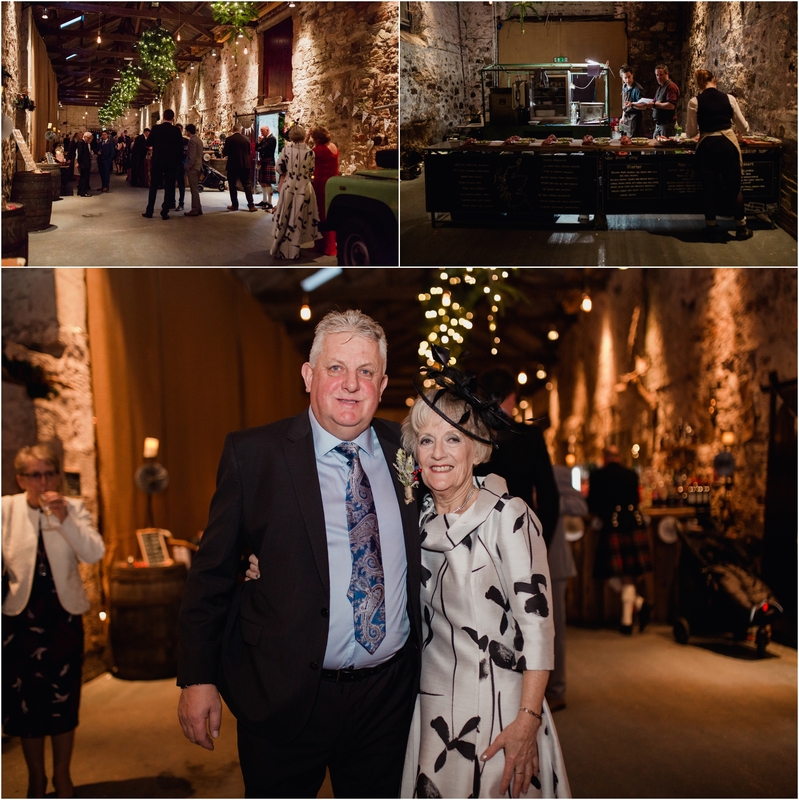 Wild Rover Food provided their yummy meal for the evening and lush pies for the evening buffet all from the back of a Land Rover and field kitchen. 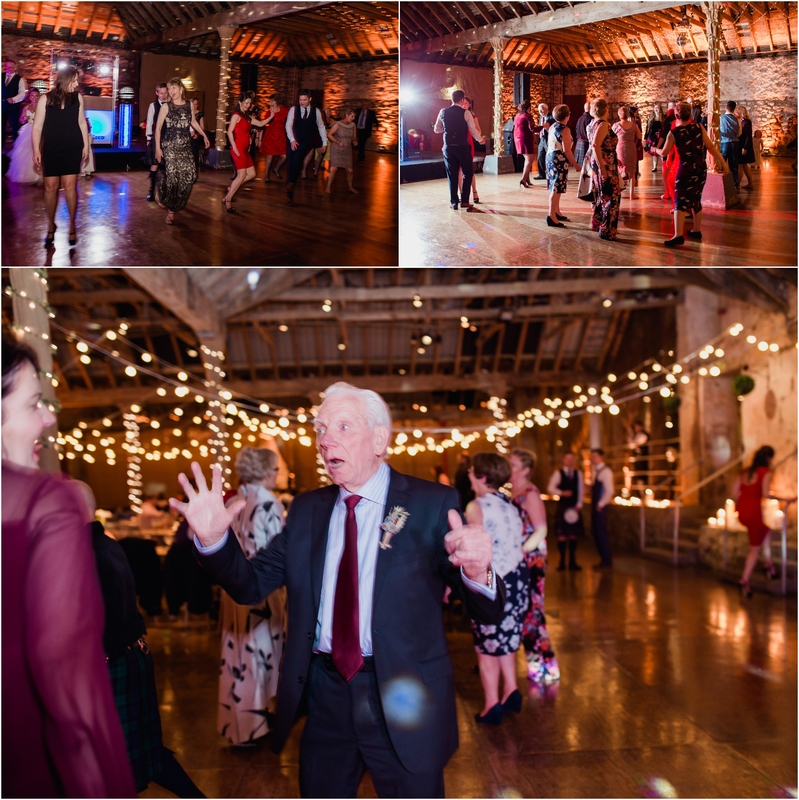 Hot Stuff Disco provided the dancing tunes for the evening with friend Alistair Lang on accordion for their ceilidh which was a LOT of fun to capture. 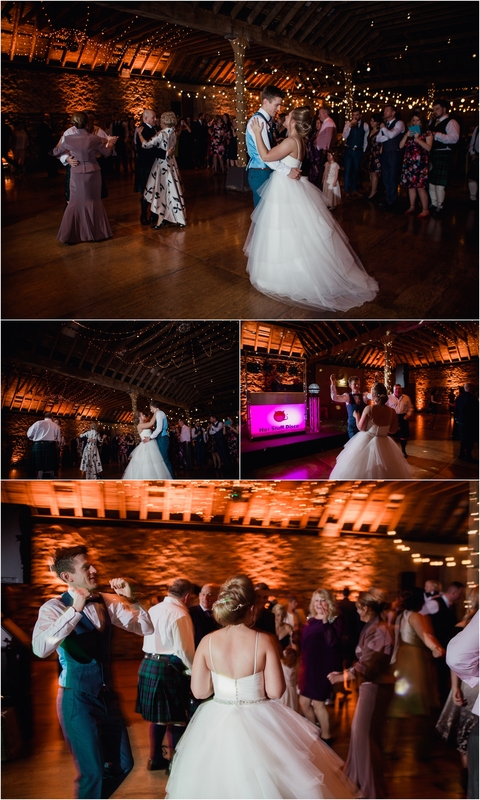 Big shout out to the rest of the suppliers that made the day AMAZING! 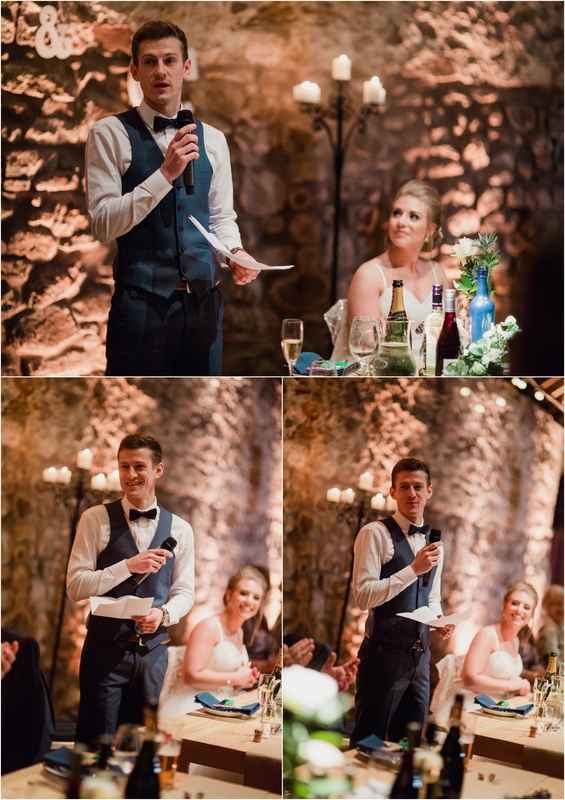 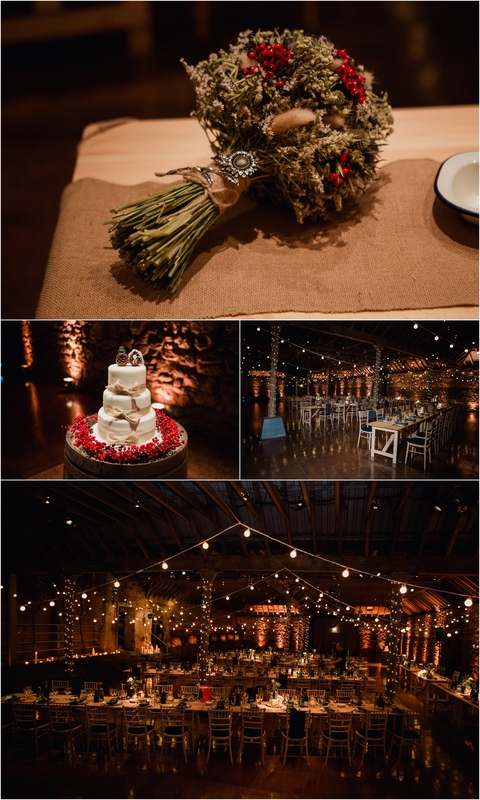 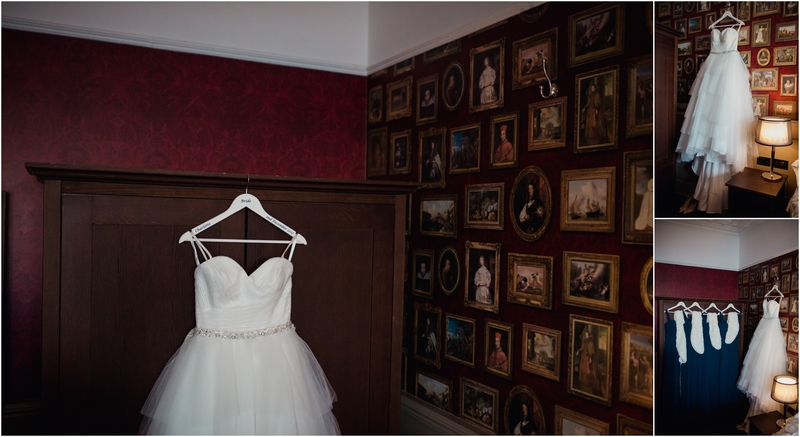 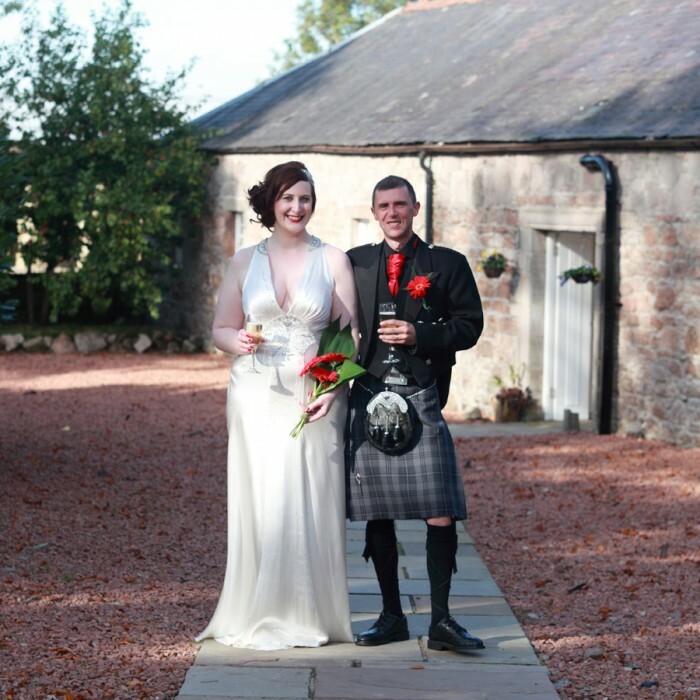 Planning a wedding at Kinkell Byre? 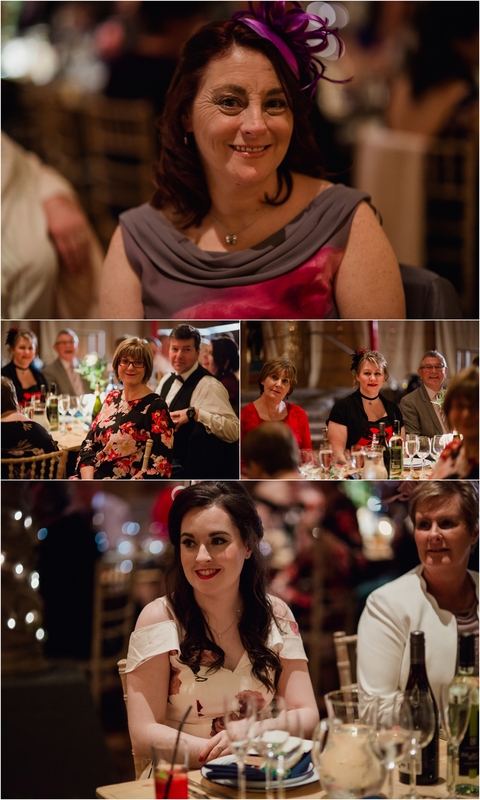 Get in touch, I would love to hear from you.